With Malcolm Smith out for a couple of weeks and K.J. Wright moving back outside, Brock Coyle will start in the middle. And Kevin Pierre-Louis figures to get much more playing time as well. Here’s a look at the Hawks’ new 280-pound fullback. The 14.5-point line for this game is tied for the third-highest home spread in Seahawks history. They covered the first two but needed OT to beat Tampa Bay, also 14.5-point underdogs, last year. Derek Carr, Will Tukuafu and Brock Coyle are among the players to watch from Seahawks.com, The Seattle Times and the Seattle P-I. Here’s the team-by-team comparison. Guessing that turnover margin difference will be a big factor. 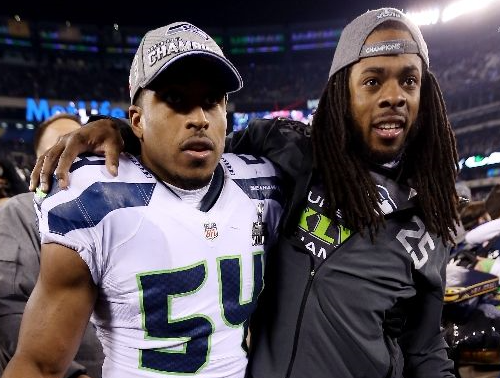 Richard Sherman jinxed Bobby Wagner. At his media session last week, Sherman stumped for the middle linebacker to be voted into the Pro Bowl — and now it looks like Wagner will have no chance to make it. Coach Pete Carroll said Wagner is likely to miss several games with a sprained toe suffered in the loss to Dallas on Sunday. It’s the second straight year Wagner has suffered a significant injury that has cost him games. Last year, he missed two games with a high ankle sprain, which affected him for a couple of games beyond that. Wagner has played very well ever since he got over the ankle injury, and his 50 tackles this season are 13 more than No. 2 tackler Kam Chancellor and 15 more than K.J. Wright, who will now take over Wagner’s spot in the middle. Malcolm Smith will start at weakside linebacker, with Bruce Irvin at strongside. Both of them have been off to slow starts after offseason surgeries. 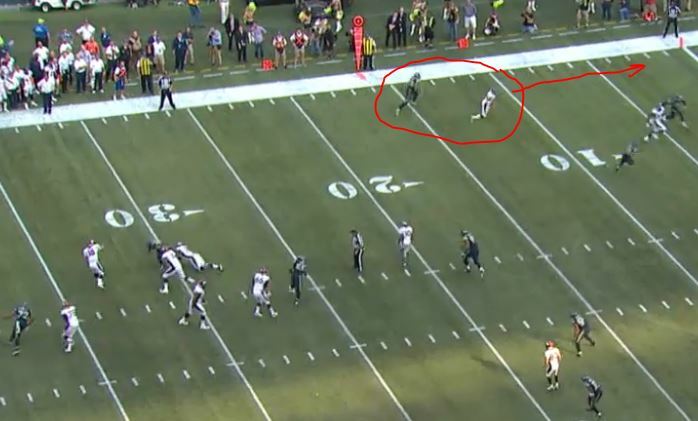 How did the Seahawks give up the tying TD? Peyton Manning (at the 33-yard line) throws a touchdown pass to Jacob Tamme after Tamme beat K.J. Wright on a double move. 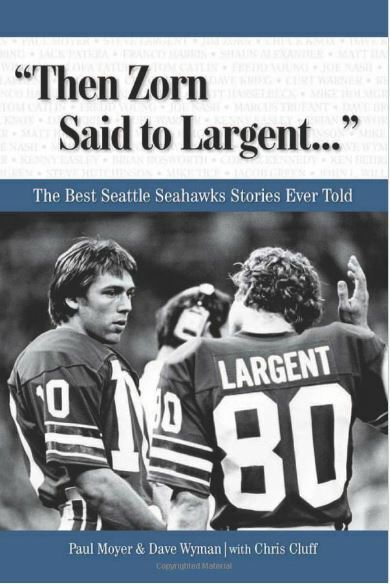 One of the big mysteries surrounding Seattle’s overtime victory against Denver on Sunday was just how that game ended up in overtime anyway. Yeah, we know Peyton Manning and the Broncos pulled off a nearly impossible task, marching 80 yards in 41 seconds with no timeouts and converting the two-point conversion to force overtime. Pete Carroll provided the answers Monday. Forget the whole Super Bowl rematch thing. The Seahawks’ defense was just looking for redemption after a poor performance in the loss in San Diego. 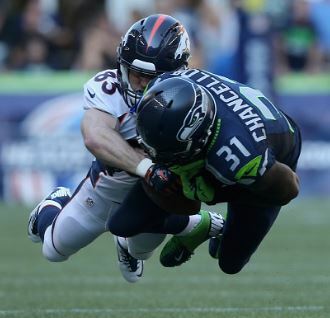 Led by embattled safety Kam Chancellor, the defense proved its mettle for most of the game Sunday, but then the unit inexplicably gave up an 80-yard, game-tying touchdown drive to Peyton Manning in the final minute. That left the redemption to the Seattle offense, which had basically done everything it could to give the game away in the second half. Led by Russell Wilson, the offense made up for it in overtime and let the defense off the hook in a 26-20 victory that for three quarters did not seem like it would be nearly that close. For most of the game, the defense picked up right where it left off against Manning in the Super Bowl — making everyone realize that the San Diego game was indeed an aberration. The folks running Earl Thomas’ site give perspective to his impassioned press conference the other day in which he said he regained his “championship spirit” after the loss in San Diego. Contrary to previous reports that had the Chargers’ receivers saying they “exposed” Richard Sherman, several Chargers expressed admiration for his ability. Bruce Irvin apologized “to the 12th Man” for his “boneheaded play” that helped lose the game and also cost him some cash. Peyton Manning, 38, is in his third year in Denver, and he sounds like he will be back at least for a fourth. Andy Benoit of MMQB predicts some of the strategies the Seahawks and Broncos will use against each other. Denver tight end Julius Thomas is the next big challenge for Kam Chancellor and K.J. Wright. According to this analysis, Russell Wilson is the league’s third-best two-minute quarterback. The Seahawks aren’t the only team using a WR/RB hybrid (Percy Harvin). 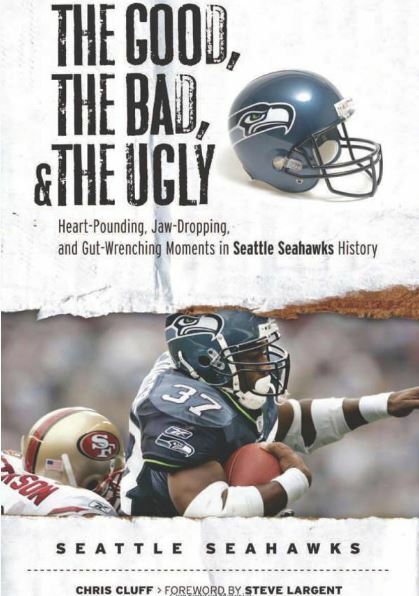 Danny Kelly of Field Gulls looks at the NFL trend. Clay Travis of FOX Sports talks about the politicization of sports (the NFL) in the wake of Roger Goodell’s very politicky apologies-and-promises speech. Along the way, Travis points out that Goodell is just the scapegoat for issues that social media (and one video) have suddenly turned into bigger deals than they were 5-10 years ago. While the media frets and frowns about a few bad NFL apples and makes it seem as if the entire league is populated by felons, Russell Wilson goes about his daily good deeds. Market for Maxwell is set, but will Hawks want to pay $5 million a year? When Byron Maxwell finally made the Packers pay by picking off a pass from Aaron Rodgers in the opener Thursday, the immediate thought was: If teams keep throwing at him like that, he will end up in the Pro Bowl alongside Richard Sherman, Earl Thomas and Kam Chancellor. And now we have an idea of the price after Pittsburgh gave cornerback Cortez Allen a five-year deal worth $26 million this weekend. 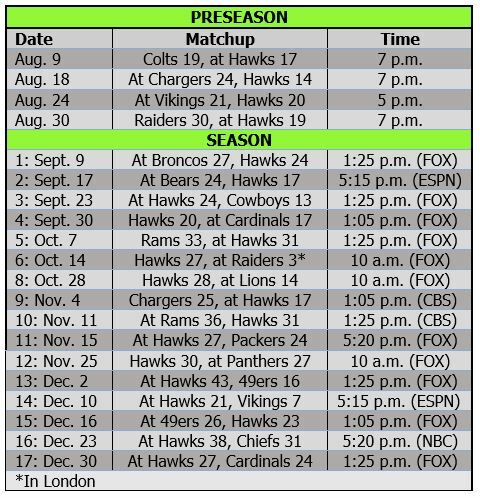 The week leading up to the start of the NFL season is always prime time for contract extensions, and this year certainly has seen its share. Quarterback Alex Smith (Kansas City), linebacker Vontaze Burfict (Cincinnati) and defensive linemen J.J. Watt (Houston), Jurrell Casey (Tennessee) and Junior Galette (New Orleans) have all secured big contract extensions in the past week or so. Cincinnati quarterback Andy Dalton received a huge deal a month ago. And wide receivers Dez Bryant (Dallas) and Michael Crabtree (San Francisco) are reportedly in talks as well. 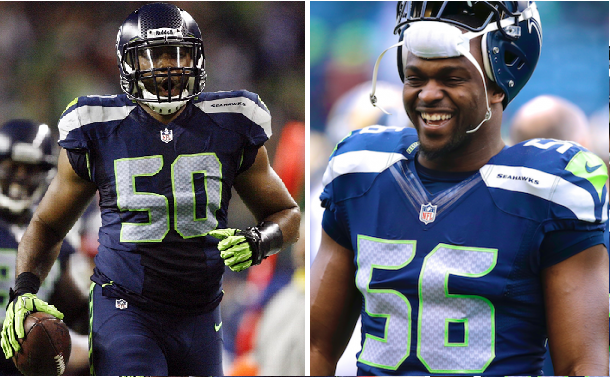 It’s no surprise that the Seahawks also appear to be in on the action, reportedly exploring extensions for defensive end Cliff Avril and linebacker K.J. Wright.